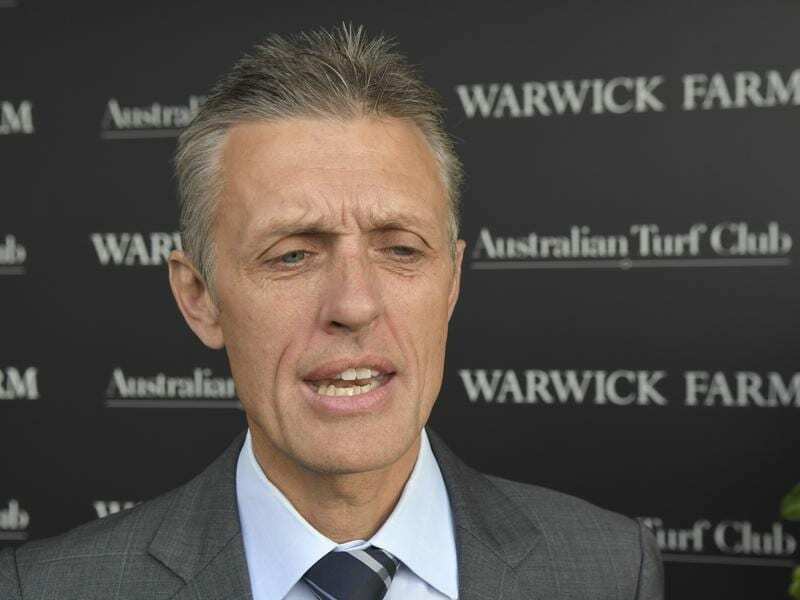 Trainer Mark Newnham hopes Greysful Glamout can enhance her VRC Oaks prospects at Flemington. As he prepares for his latest bid at a first Group One win in Sydney, trainer Mark Newnham is hoping staying prospect Greysful Glamour can stamp herself as a genuine VRC Oaks contender in her Melbourne debut. Newnham has sent the last-start stakes placegetter from Sydney for Wednesday’s Oaks Trial (1800m) for fillies at Flemington for which she was at $5 on race eve. The winner earns a ballot exemption into the Group One VRC Oaks (2500m) at the same track on November 8, while Wednesday’s meeting also features the Victoria Derby Trial (1800m) for colts and geldings. Greysful Glamour’s Flemington mission comes a few days before Newnham saddles up chances in big races at one of Sydney racing’s feature spring meetings on Saturday. His runners on Saturday include Lanciato in the Group One Epsom Handicap and Maid Of Heaven and Nakeeta Jane in the Group One Flight Stakes. Greysful Glamour finished fourth in the Listed Fernhill Handicap (1600m) at Randwick in her final start as a two-year-old in April. She is yet to win in three starts this preparation but kept rallying in the straight in the Group Three Spring Stakes (1600m) at Newcastle last start to finish third. “She’s a staying type of filly and she has a stout pedigree on the mare’s side, being out of a Dalakhani mare,” Newnham said. “She has only had the two tries over a mile (1600m) and they have been the best two runs of her career to date so I don’t have any fears of stepping her up in trip. Sydney jockey Tim Clark rode Greysful Glamour last start and heads to Flemington for one ride. “Tim was keen to go and ride her so I thought that was a good indication,” Newnham said. “She has come out of the Newcastle run well and she had a gallop on Saturday morning at Warwick Farm going the Melbourne way. “She got on to the right leg going that way and she’s a fairly adaptable, easy-going filly.